This is by far the best guide ever written for designing games. All kinds of games, simple and traditional, but of course video games, too. This fat book is packed with practical, comprehensive, imaginative, deep, and broad lessons. Every page contained amazing insights for me. The more I read and re-read, the more important I ranked this work. I now view it as not just about designing games, but one of the best guides for designing anything that demands complex interaction. My 13-year-old son, who, like most 13-year-olds, dreams of designing games, has been devouring its 470 pages, telling me, “You’ve got to read this, Dad!” It’s that kind of book: You begin to imagine your life as a game, and how you might tweak its design. 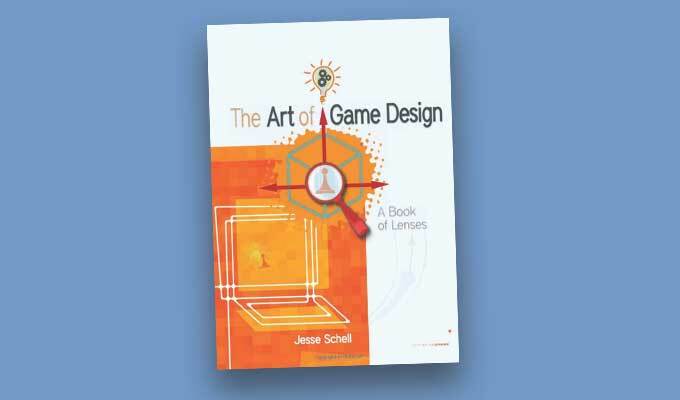 Author Jesse Schell offers 100 “lenses” through which you can view your game, and each one is a useful maxim for any assignment. We must be absolutely clear on this point before we can proceed. The game is not the experience. The game enables the experience, but it is not the experience. This is a hard concept for some people to grasp. What experience do I want the player to have? What is essential to that experience? How can my game capture that essence? If there is a big difference between the experience you want to create and the one you are actually creating, your game needs to change: You need to clearly state the essential experience you desire, and find as many ways as possible to instill this essence into your game. Q1. Games are entered willfully. Q5. Games can be won and lost. Q8. Games can create their own internal value. Q10. Games are closed, formal systems. Specifically, that the player puts their mind inside the game world, but that game world really only exists in the mind of the player? This magical situation, which is at the heart of all we care about, is made possible by the game interface, which is where player and game come together. 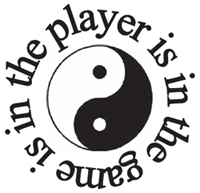 Interface is the infinitely thin membrane that separates white/yang/player and black/yin/game. When the interface fails, the delicate flame of experience that rises from the player/game interaction is suddenly snuffed out. For this reason, it is crucial for us to understand how our game interface works, and to make it as robust, as powerful, and as invisible as we can. Experiences without feedback are frustrating and confusing. At many crosswalks in the United States, pedestrians can push a button that will make the DON’T WALK sign change to a WALK sign so they can cross the street safely. But it can’t change right away, since that would cause traffic accidents. So the poor pedestrian often has to wait up to a minute to see whether pressing the button had any effect. As a result, you see all kinds of strange button-pressing behavior: some people push the button and hold it for several seconds, others push it several times in a row, just to be safe. And the whole experience is accompanied by a sense of uncertainty — pedestrians can often be seen nervously studying the lights and DON’T WALK sign to see if it is going to change, because they might not have pushed the button correctly. What a delight it was to visit the United Kingdom, and find that in some areas the crosswalk buttons give immediate feedback in the form of an illuminated WAIT sign that comes on when the button has been pushed, and turns off when the WALK period has ended! The addition of some simple feedback turned an experience where a pedestrian feels frustrated into one where they can feel confident and in control. Many people criticize this method as “not really being interactive, ” but players sure do enjoy it. the reality tends to disappoint. Many games have experimented with having multiple endings to their game story. Almost universally, the player ends up thinking two things when they encounter their first ending in one of these. 2. "Do I have to play this whole thing again to see another ending?" There are exceptions, of course. Star Wars: Knights of the Old Republic featured a novel type of player choice — did they want to play the game on the “light side ” or “dark side ” of the force — that is, with good or evil goals? Depending on which of the paths you choose, you have different adventures, different quests, and ultimately a different ending. It can be argued that this isn’t really a case of two different endings on the same story, but two completely different stories — so different that they are each equally valid. Videogame characters are severely limited in their ability to do anything that requires something to happen above the neck. Most of what happens in stories is communication, and at the present time, videogames just can’t support that. Game designer Chris Swain has suggested that when technology advances to the point that players can have an intelligent, spoken conversation with computer-controlled game characters, it will have an effect similar to the introduction of talking pictures. Suddenly, a medium that was mostly considered an amusing novelty will quickly become the dominant form of cultural storytelling. Until then, however, the lack of usable verbs in videogames significantly hampers our ability to use games as a storytelling medium. As the character tries to overcome the obstacles, interesting conflicts tend to arise, particularly when another character has a conflicting goal. 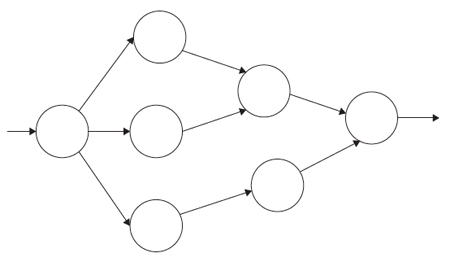 This simple pattern leads to very interesting stories because it means the character has to engage in problem-solving (which we find very interesting), because conflicts lead to unpredictable results, in other words, surprises (which we find very interesting), and because the bigger the obstacle, the bigger the potential for dramatic change (which we find very interesting). and maybe even more so. One focus group I witnessed was trying to determine where the average mom drew the line about what videogames were “too violent ” for their kids. Virtua Fighter was okay, said the moms, Mortal Kombat was not. The difference? Blood. It wasn’t the actions that were involved in the games that bothered them (both games are mostly about kicking your opponent in the face), but rather the graphic bloodshed in Mortal Kombat that is completely absent in Virtua Fighter. They seemed to feel that without bloodshed, it was just a game — just imaginary. But the blood made the game creepily real, and to the moms in the interviews, a game that rewarded bloodshed felt perverse and dangerous.